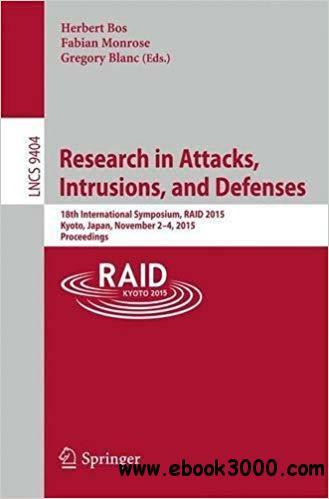 This book constitutes the refereed proceedings of the 18th International Symposium on Research in Attacks, Intrusions and Defenses, RAID 2015, held in Kyoto, Japan, in November 2015. The 28 full papers were carefully reviewed and selected from 119 submissions. This symposium brings together leading researchers and practitioners from academia, government, and industry to discuss novel security problems, solutions, and technologies related to intrusion detection, attacks, and defenses.